DoFinance is a P2P platform for private individuals to invest in consumer loans. We believe in finance for human – DoFinance aims to become the most user-friendly, secure and accessible P2P lending marketplace possible, so that anyone can participate in seemingly complex processes and become his or her own financial director. Your money never sits still; it is always earning. Auto Invest program on DoFinance reinvests funds the moment the borrower returns the loan and the investor’s money becomes available. Depending on the chosen investment plan, investors earn up to 12% annual return. DoFinance was founded by the Alfa Finance Group. Can you please describe what Alfa Finance Group does and why it decided to set up the DoFinance marketplace? 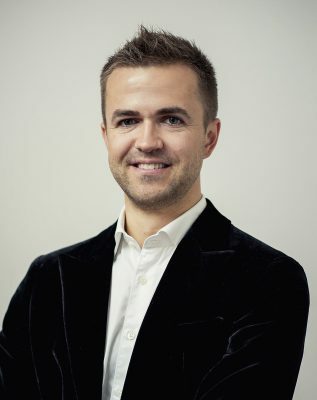 The Alfa Finance Group is an online lending and investment management company operating with consumer loans in Poland, Georgia and Indonesia. We are proud that in less than two years – since its launch in 2015 – the Alfa Finance Group has attracted more than 150,000 registered clients and over €16 million in loans issued as financing loans. Launching [the] P2P platform is just one of the steps toward expanding the list of available financial services of Alfa Finance Group. Our goal is to continue developing and offer more financial services in the investment management sector. According to the press release Alfa Finance Group has invested 2 million Euro in launching DoFinance. Can you please describe what the money was used for? The money was invested in technologies to create the platform and in building our loan portfolio. The best warranty for the safety of investors’ funds, we believe, is effective risk management when it comes to the borrowers thereof big part of the money was invested in developing risk assessment tools that allow us to evaluate borrower’s behavior to detect their willingness to repay as precisely as possible. Our risk assessment tools as well as expertise in risk management permits us to evaluate the behavior of each potential borrower, hence minimizing the risk of failure to repay the loan and making the investment process as safe as possible. Yes. The technical platform is built on two pillars – creating a more secure and user-friendly P2P lending platform. During the development stage, we focused on smart risk assessment and platform that is handy, accessible and easy to use. We consider customer feedback carefully and, although a lot has been done already, we are still at the very beginning of our journey – the next challenge is to work on the planned improvements. What was the greatest challenge so far in the course of launching DoFinance? Obviously, the fierce competition in the industry challenges us to work faster and bring innovations to the marketplace, but it would be just fair to call it motivation and not challenge. DoFinance is a marketplace, and it is vital for us to make sure the products we offer are entirely safe. The greatest challenge was to develop a risk assessment tool that would minimize the risk of failure to repay the loan, be effective and secure. Risk assessment and management is our strength, and all our loans are secured with a BuyBack guarantee. If the borrower doesn’t pay back the loan, you don’t have to wait for an extra 30 days (after the investment due date) to get your funds back – your money is available right away. Another challenge was becoming available also to Asian investors. DoFinance is the first European-based P2P lending platform to open customer center in Indonesia, bringing together European customer centered approach and Asian investors. We are happy to be the first ones to offer such individual approach to all our customers and give the chance to Asian investors to invest in Europe. Technology innovations are at the heart of our products hence we mainly use the opportunities digital marketing channels offer. It is a great channel to also reach important players in the industry – opinion leaders, investors, experts etc. Finance for human stands behind everything we do, which means we look for creative ways to reach our audiences – not only fintech professionals, but also investors without a professional background in financial and investment management. Anybody who is at least 18 years old and holds a bank account can register at DoFinance and, by investing as little as 10 EUR per loan, become his own financial director. Is DoFinance open to international investors? Yes, DoFinance is available to private individuals holding a bank account in EU, EEA countries as well as Asian countries which are not included in the lists of high-risk and non-cooperative jurisdictions and international sanctions (Indonesia, Singapore, Vietnam etc.). What is your opinion on the planned upcoming regulation in Latvia for p2p lending? It is important that the Ministry of Finance includes industry representatives, when developing regulations on p2p lending platforms. Regulations developed without a throughout understanding of the industry can harm both investors and businesses. 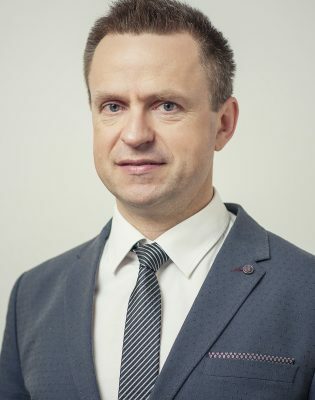 Fintech industry has a potential to become Latvia’s success story which would contribute to both image and prosperity of the country, thus there must be healthy balance between industry regulation and its self-regulation. The entire financial industry and eventually the consumer will benefit from the development of FinTech as banks and FinTech companies will start cooperating when it comes down to providing financial services, customer service etc. Therefore, it is the state’s responsibility to create environment where these companies will stand and where intellectual capacity of labor will increase and taxes will be paid. At the same time, the regulation must ensure transparency and monitoring – simply because then dishonest entrepreneurs wouldn’t be able to harm investors. Where do you see DoFinance in 3 years? DoFinance will definitely expand geographically and continue working on developing new financial products for international markets. Our services just became available to Asian investors and now DoFinance looks even further – we don’t want to limit ourselves when it comes to geographical borders. As we already mentioned, DoFinance is just the first step toward expanding the list of available financial services of the Alfa Finance Group. Most importantly, with every new development we make sure to keep our core principle – finance for human. P2P-Banking.com thanks Janis Kulikovoskis and Viesturs Kulikovoskis for the interview.